While October snuck past me this year I am fully aware of November. It’s fall. Fall means red and orange leaves, the smell of wood fires and crispy air in the morning. It also means people start wearing darker colours and my tuscan series again sells like crazy! 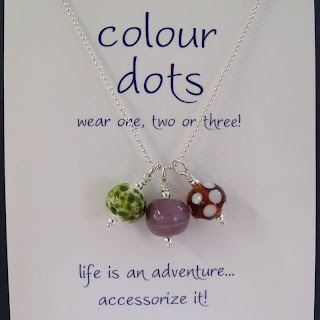 The prize this month is my tuscan colour dot necklace, perfect for fall. Tell me, what’s your favourite thing about fall? To enter the giveaway: email me at catherine@sailorgirl.com and tell me what’s your favourite thing about fall?